There is nothing more beautiful on a breakfast plate than a vibrant orange egg yolk, shimmering like a miniature sun. But does a bright orange yolk mean that the egg is more nutritious or tastier? Not necessarily. A bright orange yolk doesn't mean the egg is fresh, it doesn't mean that the hen who laid it was treated or fed well, and it doesn't even mean that the egg came from a free-range hen. A common misconception is that the more orange the yolk, the more nutritious the egg or that it had to come from a free-ranging hen. 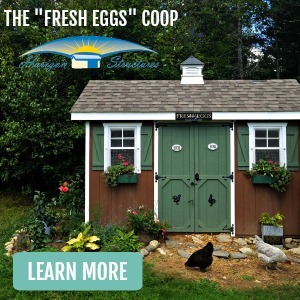 It is true that chickens who free-range normally do lay eggs with deeper, darker yolks because they have a diet that includes grasses, herbs and weeds that contribute to yolk color. Their eggs may be more nutritious due to their natural, varied diet, a commercially raised chicken can be fed feed that has ingredients such as corn and marigolds in it that will boost the yolk color as well. Interesting factoid: the more yellow the 'white' of an egg (the albumen) is, the more riboflavin (Vitamin B2) that egg contains. 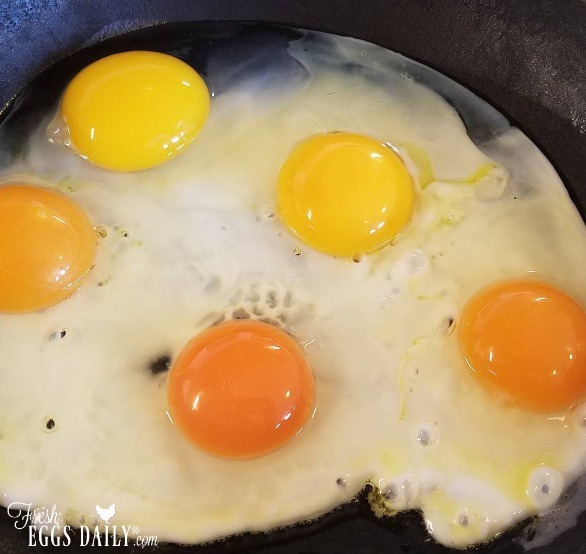 Similarly, even if you don't free range your chickens, there are ways for you to boost the color of your backyard flocks' egg yolks while increasing the quality of their diet, but not exposing them to the inherent risks of free-ranging. and the leaves of most green plants. These various pigments contribute not only to egg yolk color, but also to the color of hens' feet and beaks, and more noticeably the feet and bills of ducks. Any excess pigment not used to produce eggs is stored in feet and bills/beaks. So one sign of a good layer is a pale bill with very little bright orange and the greenish color of the bill showing through (normally covered up with the bright orange color). The males (roosters and drakes) who don't lay eggs tend to have very orange feet and bill/beaks as long as their diet includes adequate levels of the pigment. 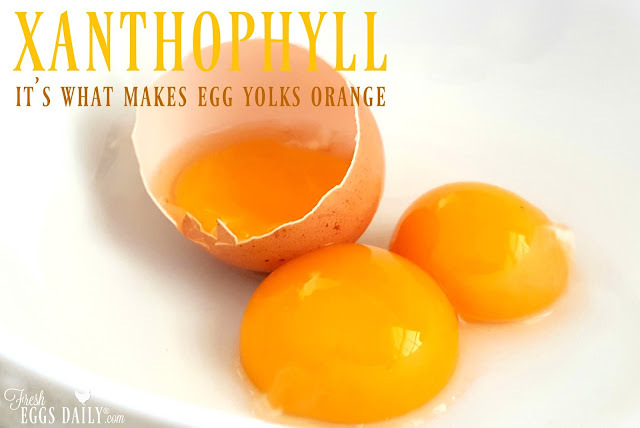 Other carotenoids such as beta-carotene and canthaxanthin don't contribute directly to yolk color, but they do contribute to healthier eggs since both are converted to Vitamin A and help prevent the oxidation of vitamins in the eggs. The DSM Yolk Color Fan is a widely accepted scale to judge yolk color. Surprisingly enough, yolk color preference varies depending on who you ask. While people in the UK tend to prefer eggs with yolks in the 8-10 range, while New Zealanders like their yolks to be in the 11-13 range and Germans like theirs closer to 14! Adding healthy sources of carotenoids to your chickens' diet will not only provide them a more well-rounded, nutritious diet but also result in gorgeous vibrant egg yolks. Join me here Facebook | Twitter | Instagram | YouTube| Google+ ©2013 by Fresh Eggs Daily, Inc. All rights reserved. We use an organic feed, but I'm not sure of the brand. I want to make your healthy layer feed recipe, but my husband thinks I'm crazy. Now I'm cooking for the CHICKENS? I don't mind, though. I love my girls. Right now we have DuMOR Chick feed. Up until last week they had an organic mix from a local hatchery. 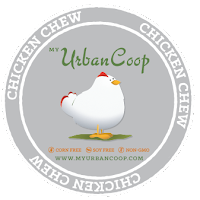 We use Scratch & Peck 3-grain scratch and corn/soy-free layer mix. Our flock also free ranges and are especially fond of clover (preferably in bloom) and the very small Pacific Chorus frogs that live in our bog. We normally use an Organic Layer Feed, mixed at the local grain/feed store. Supplemented with "left-over" Alfalfa Hay that our goats waste, along with "Chick Healthy" veggies/fruits. Spoiled girls!! My hubby buys the chicken feed and by the time I see it it's in the big plastic container, so I honestly can't tell you right now. We use Purina Layena crumbles. It's what's available in our area. I would love to find an organic feed close by, but that hasn't happened yet. I use Dumor layer pellets right now. I use whatever the co-op is selling. It varies . I feed scratch grain, cracked corn and layer pellets. I use Agway brand...can't find anywhere near where I live that sells Nutrena :-(. We currently use Purina Layena - it is what is available at our local Tractor Supply. Very interested in Nutrena and going to see if I can get it locally. I use a feed from Southern States supplementing with fresh veggies and fruits and a forage block. I have been checking into switching to a more natural feed and was very happy to read this post. Thank you for the post and the giveaway. I have been using Acco Chicken layer crumbles, but am going to search for a Nutrena dealer now! Really interesting post, especially the yolk color fan and cultural preferences! I'd like to try Nutrina; I've not seen it around here, but maybe I could change that! Ask around b/c if enough people start asking, the local feed stores might start carrying it. I currently use organic soy free by Hylands. 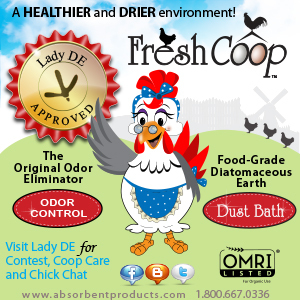 We will be moving to a larger property soon and will have meat and egg chickens. Looking forward to learning how to feed the best for the best price. Thanks for an informative website! My neighbors are going through some hard times so this would help them out. We bought them Purina in the past. I use Purina-it is what is offered at the local Tractor Supply, or Dumor if it is available. I am not sure what feed I use, my brother picks it up. My girls love Nutrena crumble! 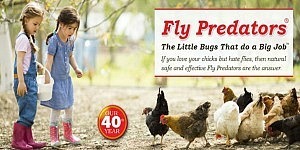 I prefer and am currently using Nutrina and love our local supplier, Young Family Feed. A free bag of feed would help us out a LOT! Great information as always....thank you! I just bought my first bag of Nutrena on Sunday from our local Agri Supply. I had been using Dumor but I had two bags that had mold in them. Never again! I currently feed my girls Pride & Pleasure from a local feed store. It's all natural but not organic. I would love to try the Nutrena. Thanks for the giveaway! 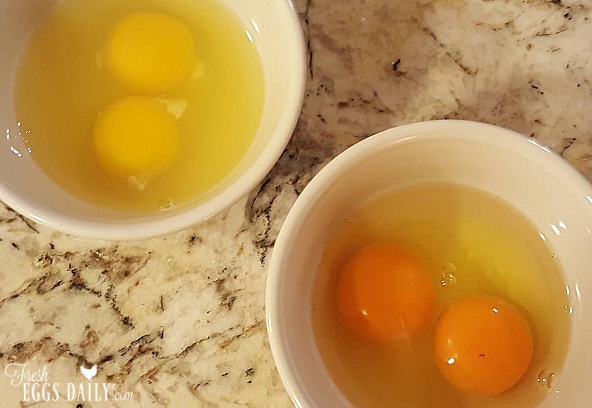 Very interesting information on the egg yolks. I've never tried the Nutrena products, but I'd like to! Oops...I hit enter before saying that I use Purina Layena for my girls. We use Nine Mile feed which is priduced by a local feed elevator made with fresh ingredients. Can' t find Nutrena around here. I'm using Purina Layena pellets currently. We have used both Nutrena & Purina. Our local store Trellis (www.trellisfarm.com) carries the Purina. But if we make a trip to F&F then it's Nutrena. We use DuMOR Chick feed. Mostly because we don't have many options here. Only what Tractor Supply keeps in stock. If they had organic feed, I would buy it. We use Scratch & Peck and are very satisfied with it! The girls love it! We also give them the "waste" from vegetable juicing each morning and various table scraps. That must be why the yolks are so orange! Would love to win this feed and try it. I'm embarrassed! I don't even know what the name of brand is that we use! The feed store just loads it in the van and then my husband off loads into the feed can. I'll have to go look! 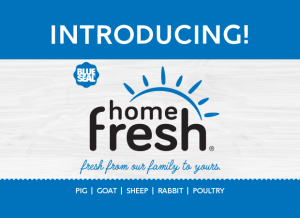 Currently I am using the local farm stores brand. I would LOVE to try something new though! we use calf manna from nutrena. 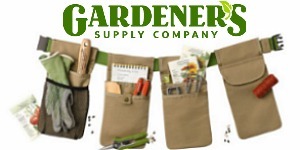 we love this product. 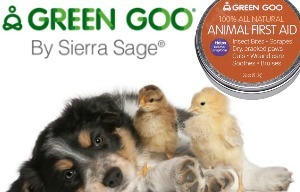 we feed it to the chickens and rabbits. it gives them glossy healthy feathers and fun. I use Nutrena Layer Crumbles. My girls love it! We were feeding Agway Hearty Hen, switched to Purina Layena about a month ago. We just got our first chicks Monday so we are on chick starter. Just getting started - should have chickens in the next 6 weeks or so. I'm using Purina Layena because it's a pretty cheap price. I have used organic before as well & I forgot the name. :p Thanks for the giveaway! We use BlueSeal. Whatever our local feed stores carries. We use Purina Flock Raiser at the moment. I currently use Nutrena. Organic feed is not available where I live and I get good results using Nutrena. We use TSC's Layena. There are some organic feeds available in our area, but it's more expensive than our budget allows. Nice informative post, we use organic feed from a local feed supply. We sometimes use Southern States and Sometimes use a brand at TS. I use Bomgaars brand but would love to try Nutrena. Great giveaway. Thanks. Thanks for participating in the Boost-My-Blog Party! I love our free range eggs. 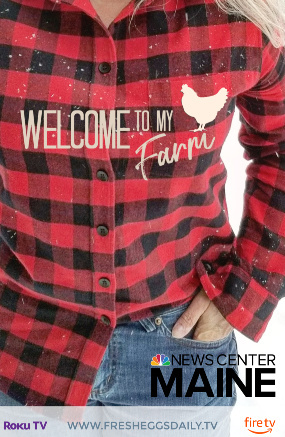 I have a local poultry farmer near me in NE Wisconsin that mixes his own feeds from local grown grains. 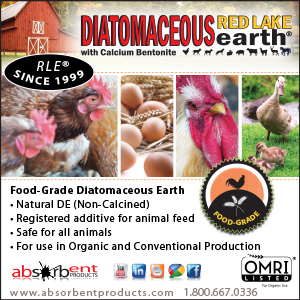 He worked with the UW-Extension Ag office to get the proper nutrients for layer, grower and chick feeds. I am so happy with it! We also give lots of scraps. My husband is a chef so our girls and boys eat gourmet scraps...Happy Hens, Happy Me! I use Nutrena Country Feeds 16% Layer Crumbles . It's good quality, easy on the pocket book, and my girls really like it! I actually just got chicks a week and a1/2 ago. We use Nutrena Starter! We alternate between Kalmbach crumbles and our local mill's feed. I use Purena Layer, but would love to try this feed. Right now, I just use feed from a local mill, Star Milling. Currently we use just regular Co-op laying pellets. But in a few weeks, we will switch back to Purina Flock Raiser (plus calcium) because I will have ducks, pullets and a young rooster. I use Nutrena Nature Wise crumbles, my girls love it! I currently feed your feed and my chickens LOVE it and have continued to lay all winter without any artificial lights. Would love to try Nutrena! I am currently using Dumor chick starter, but I would love to try Nutrena! I have DuMor starter/grower 20% protein for my two-week old Buff Orpingtons. They are getting that, have started grit, and I gave them a treat of oatmeal for scratch that they thoroughly enjoyed! We use Purina Layena crumbles. I would love to try your layer crumble! I currently use dumore layer feed. I hope I can find a nutrena dealer locally, this sounds like an excellent feed to use! During the summer our girls have total run of the yard! They love roaming looking for yummy snacks that I "hide" out there for them, along with normal grasses and such that they find. We buy an organic layer mash from the feed store in our town, and Nutrena layer feed. Two different feeders, and the girls get to pic what they want. They also love to eat out of the bird feeders on the deck railing! About to get some chickens in a month or two. Perhaps we'll start them off on Nutrena. Thanks for the interesting read. I don't use feed, yet! 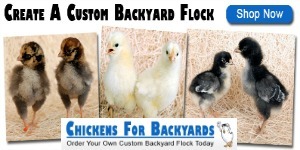 We are planning to start our flock this spring!! So if you used NatureWise would you still need to mix the Ultra Omega Egg and Probiotics into the feed for the breakfast of champion layers formula? It looks like it has something similar already mixed in. I'm feeding Purina Layena. Seems to work out fine. Naturewise looks much better though. Great article as always! We use Dumor and Purina Layena. Our girls seem to be getting a little pickier lately, so we're exploring our options. I use Purina feed. 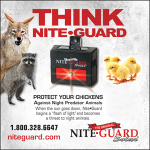 My chickens are Free Range and get Purena at night ,to intice them into there nightly pen. I would love to try Nutrena ..
We are currently using DuMor Layer Feed. They love the crumble AND the pellets. Usually they don't like the pelleted feed, but this brand is an exeption! We started our chicken on Dimorphic brand and they wont eat anything.else. We have tried others since. I've been giving my girls chopped kale lately. They love it and their eggs are beautiful golden color. I would love to give this kind of layer feed to the girlsand see how they do. We use Nutrena Layena crumbles for our chickens. They prefer crumbles to pellets. 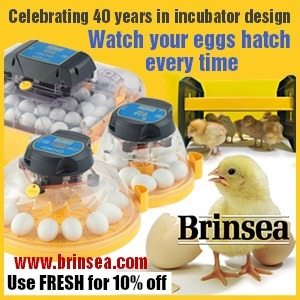 I don't have my chicks yet but will get them soon. I will be getting my chicks soon. I would love to try your feed. I use the local Coop feed and have been happy with the results. Impress me. We use the layer feed crumbles. A great product! I buy Purina crumbles and scratch grains. My chickens get daily greens from my garden, too. However, I wish I could find organic feed locally but it impossible to find. Same here Janice. I know of organic feeds and have tried samples but the cost to have it shipped is too high for me right now. I use whatever the local farm store has that day, so would love to try something like this. The only thing available where I live is Purina or a product from a private mill who grow there own grain and process the feed for different animals like horses and chickens. I'm using the one from the private mill. The inconvenient is that I can only buy 40 lbs bags and for the moment I only have 3 chickens. I'm a little concern about feeding not so fresh food to my chickens. I was thinking of buying a new bag and feeding the rest of the old bag to the deers. I would like to find a new kind that I can buy in smaller bags and available in Canada. I would love to try this Nutrena product. If I win this giveaway, I have a US mailing address where I can pick it up. I would love to try this! I'm pretty sure we are using purina (it's what the feed store carries). We feed Nutrena for our flock. Just switched from farmer made food, needed omegas for our girls. We buy feed so far at Tractor Supply and also feed plenty of nuts, seeds, and veggies too. They also love oatmeal on cold mornings. I would love to try your feed! We mix corn, milo, and soy. We also planted our garden area with rye so they can graze and have green during the winter...they love it! We are using Purina Layena but occasionally use Dumor Layer Pellets. 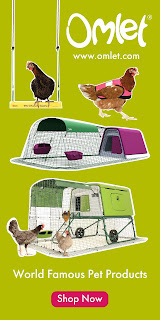 I am new at even thinking about raising chickens! I would love to begin by starting off in the right direction. 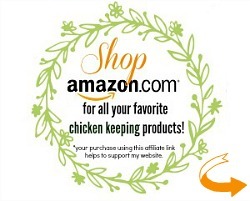 Looking forward to a long, healthy chicken relationship with you! I usually use Resaca Sun Chicken Feed. Can't wait for my biddies coming at the end of March! I am currently using Dumor from TSC. I would like to try your feed. I use mostly Nutrena Layer, Chick starter and Scratch. Nutrena Chick Starter for the 3 day olds, and Nutrena Layer Crumbles for the girls. Interesting info. We are on our first bag of Nutrena layer crumbles. Have been using DuMor but so far, like the Nutrena better. I use Dumore feed for my starter grower and layer. Nutrena Layer if I can get it, otherwise Layena. Just love this blog entry; a lot of information here! Ware Milling. But would love to try Nutrena! Would love to switch to Nutrena as I am using a layer feed from our local feed store and am not getting the results I am looking for. I am very anxious to try Nutrena--people are raving about it and I can't wait to try it. Thanks. I currently us dumor layer crumbles from our local TSC. We use nutrena layer pellets, supplemented with oyster shell and fresh veggie scraps. 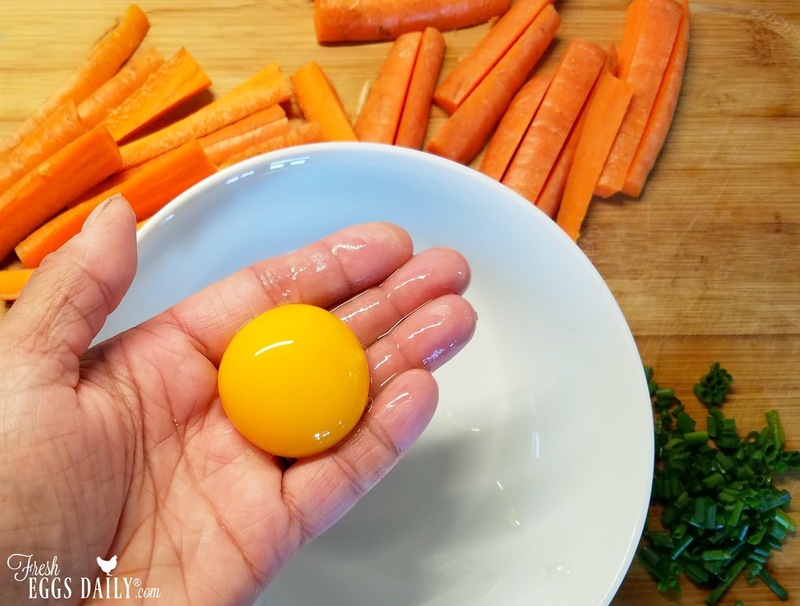 Great article about yolks, always enjoy learning something new!Thanks! I use Nutrena and love my eggs!! 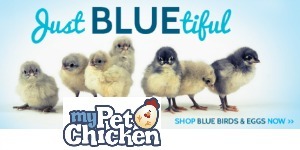 For my pullets I use Purina® Layena® Plus Omega-3, and Dumor for my new chicks. I'm would love to see how they would do on Nutrena! We use Purina Layer right now. I actually use a mix that my friend makes. It changes according to the needs of the season. We had been using Countryside organic layer, but lately have been using Purina Nutrena Layer. We started out feeding our chicks the Dumor brand from TSC and then switched to the Nutrena NatureWise - our hens almost doubled their egg production. We bought another Nutrena variety from a local feed store thinking it was the same but the girls would hardly eat it - so we trashed the rest and went back to NatureWise, the hens absolutely love it. Nutrena crumbles. And kitchen scraps. And garden scraps. They love to follow the tiller or shovel too! thanks for hosting this giveaway! Ive learned so much from your posts!!!! Hubbard is available in my hometown. So far we use Purina. Just getting started in raising chickens for eggs and meat. I have DuMore chicken starter. Right now we use Nutrena Unmedicated Chick Grower, but our little birds are growing up and almost ready for layer rations! Would love to try some, but all that is available here is either purina or dumor. Currently I am using purina, but I would really like something new! just got my first batch of baby chickens today! so excited...i would love to use this feed for them! I use Nutrena Country Feeds, NatureWise, and occasionally Sprout depending on what is available where I am at. I mainly use Nutrena's Nature Wise for my layers and meat birds as well as Nutrena's Country "All Flock" for the ducks and the "juvies" who are in between Nature wise starter/grower and N-W Layer rations. I am thinking about sprouting wheat, oats, and soybeans to supplement this spring. I also provide soaked Alfalfa cubes for forage, since they are confined in the run until the 70 tree fruit orchard is fenced. From hatch to lay all of my fowl get Nutrena. I have been very pleased with the results so far. My hens just started to lay last month and so far I have had 3-100% hatches from their eggs. Currently Purina Layena as it is what the local elevator offers. Would be nice to have more choices. I currently use Purina Layena Sun Fresh Recipe. 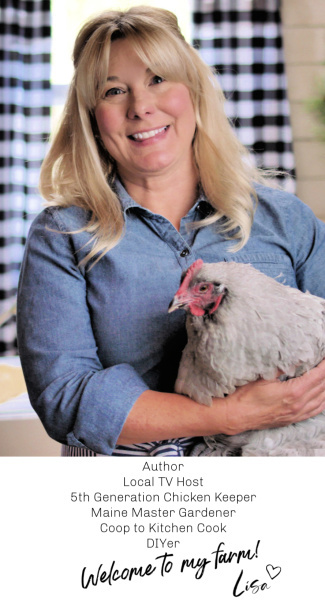 I currently use Purina Layena for my chickens. 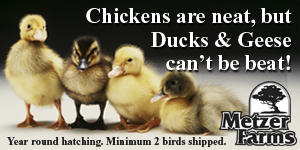 I'm getting chickens in the next month and hadn't chosen a feed just yet. I currently use Nutrena Layer Pellets. My girls prefer it and lay better when I feed it to them. Plus it smells good! I currently use layer pellets from TSC or Orscheln's, depending on which town I'm in when I need to purchase feed. I feed Payback or Nutrena--depending on which town/feed store is most convenient when I buy feed. I can't really tell which feed my chickens prefer! 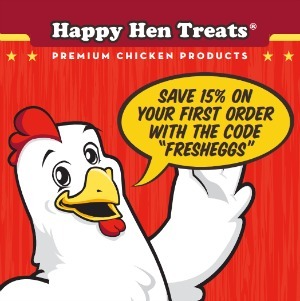 We just got our chicken this weekend and I found your site today. Great information for a newbie. I bought West Layer Crumbles that is what was available at my local feed store. I currently use Purina Start and Grow and Purina Layena. I have 4 hens 2 roos and 6 chicks. My feed store occasionally does carry Nutrena and when they do - I buy several bags at a time. I really like the feed, especially in the winter when The Girls don't have access to green grass. If you haven't tried it - I encourage you to do so - you'll see the results! getting chicks in the spring! first time. so, good food would be great! I have not seen this available, but we do use the Layena at this time. We currently use Armsda which is a MI based company. I do worry about their Omegas and other nutrition during the long MI winters! 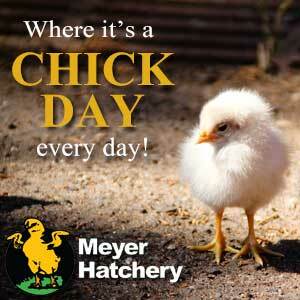 I am just getting my chicks next week, & your feed is the one I am going to use! Depends on which feed store I make it to when I run out. Several different brands including Purina. Same here. I would love to feed organic, non-GMO but at $18 for a 15 pound bag plus about the same again in shipping, I just can't swing it. I do use Nutrena feeds and my girls are happy, healthy and good layers.